Published: Jan 21, 2019 - Modified: Apr 17, 2019 - by Chef Rodney - 8 Comments - This post contains Ads & Affiliate Links. 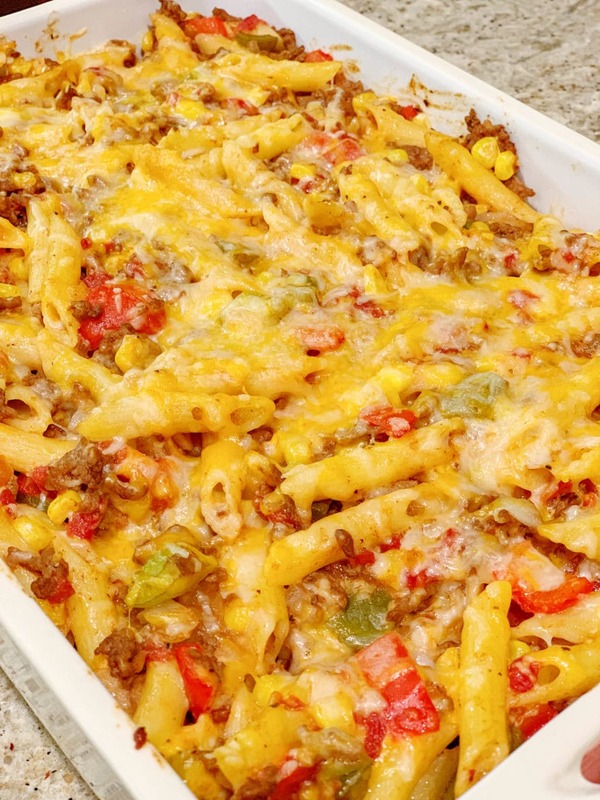 I absolutely love this casserole. 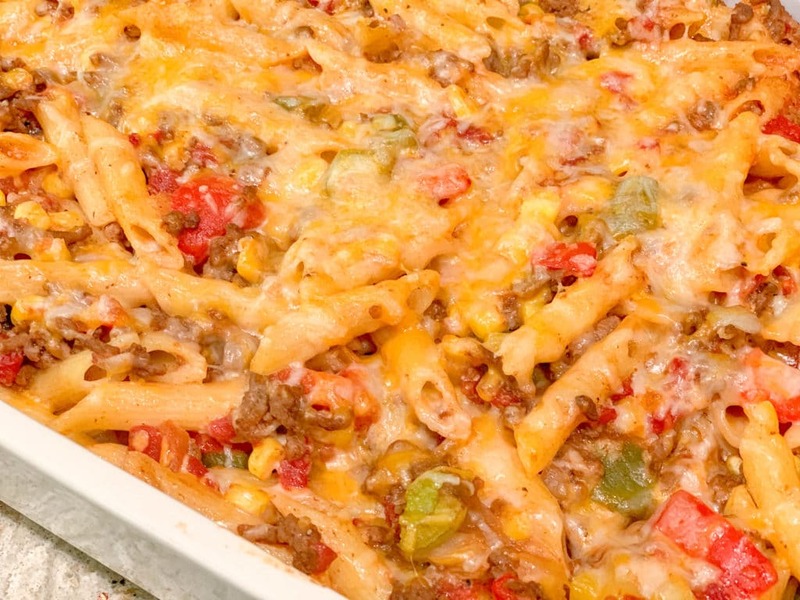 The combination of the veggies, the beef and the penne pasta is spot on. I found the meat to have a little sweetness to it, but some of my guests did not find it sweet. Go figure! 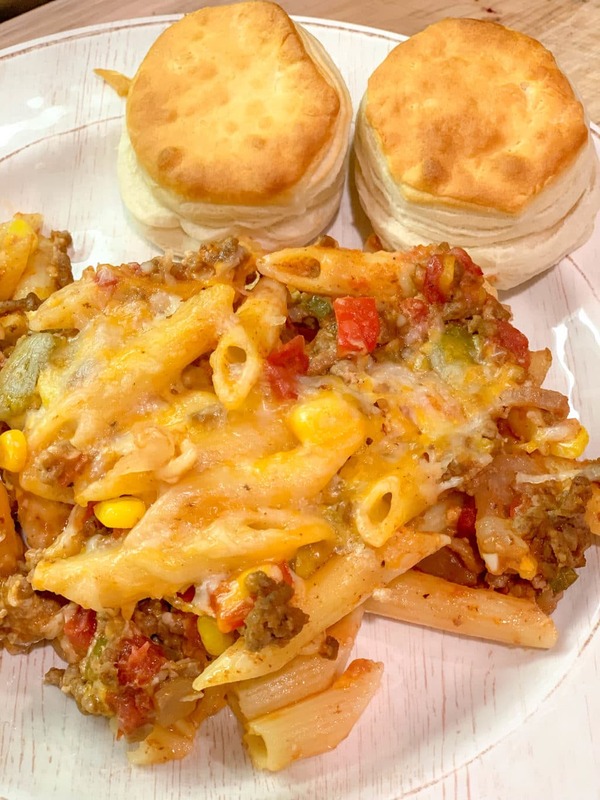 The only reason I am calling this a Sloppy Joe Casserole is that it shares many of the same ingredients as a traditional Sloppy Joe Sandwich. You can check out my Sloppy Joes Sandwich recipe for comparison. 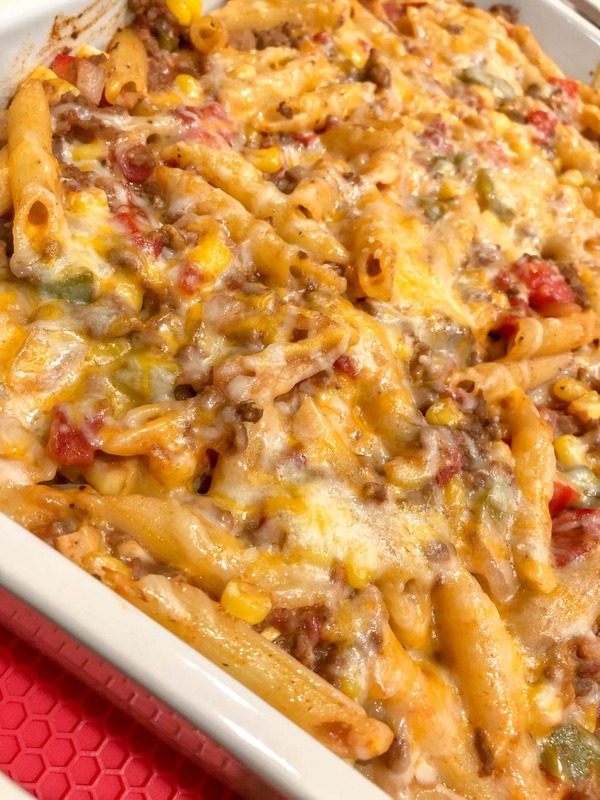 One of the surprise ingredients in this casserole is the corn. The corn adds a little sweetness as well as a nice texture. I was almost tempted to add some chopped bacon (because we all know that everything tastes better with bacon) but this dish did not need any help. As far as the cheese is concerned, the Colby Jack really compliments this dish. But if you don’t have any on hand or not in the mood to make a grocery run just for some Colby Jack cheese, you can substitute with mozzarella or a nice cheddar cheese. Heat a little olive oil a large skillet over medium-high heat. Cook and stir beef, onion, green bell pepper, red bell pepper, and garlic until the beef is browned and crumbly. Drain and discard grease. Stir tomatoes, ketchup, brown sugar, mustard, salt, and pepper into ground beef mixture; reduce heat and simmer until heated through. Bring a large pot of lightly salted water to a boil. Cook corn in the boiling water until cooked through, about 5 minutes. Drain and set aside. Bring another large pot of lightly salted water to a boil. Add penne and cook al dente according to directions on package. Drain and set aside. 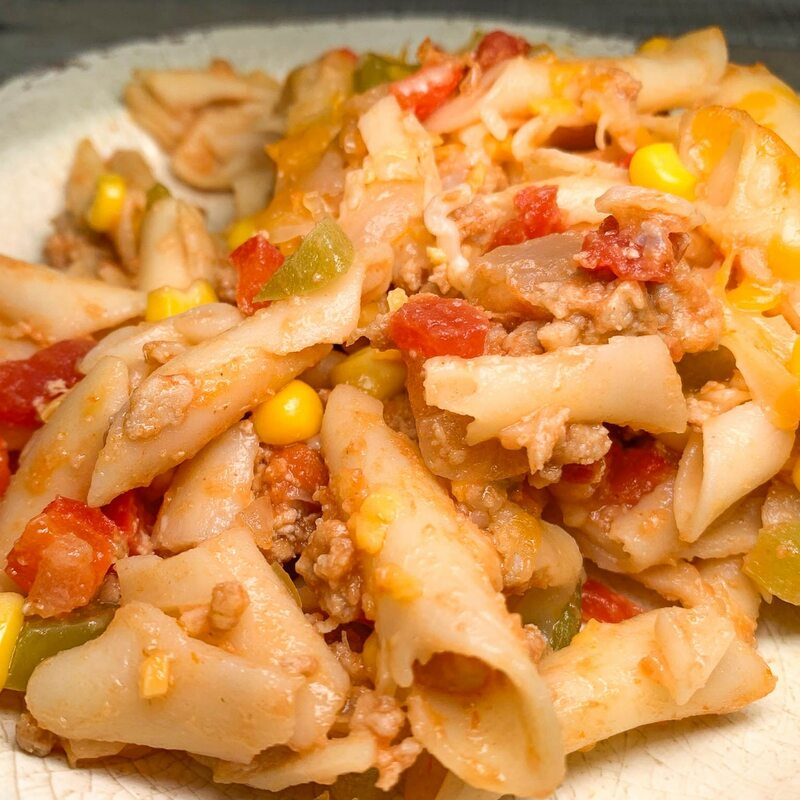 Add corn, pasta, and cheese to ground beef mixture. Mix well. Pour into a 9 x 13 baking dish. Bake for about 20 minutes or until cheese is bubbly. OMG this is fantastic. Easy to make, I recommend this recipe. Everyone should try it and kids will love it too. Thank you for this amazing dish! Thank you! It’s one of my favs as well. Do you think I can use the no boil penne? Do you think there is enough liquid to cook them in the oven? Sounds awesome! Great question. Unfortunately I’ve never used no-boil pasta before. But if it’s just like boil pasta I don’t see why it wouldn’t turn out the same. The meat mixture is wet so I think you should be fine. If you do try it, come back and let us know how it turns out! This was an awesome recipe. Thank you so much for sharing it. It was such a hit and all my family loved it. I have been making a very similar casserole for 40 years. I use the Manwich Sandwich Sauce in a can, but otherwise, it’s the same! I’m sure yours is better being homemade, but the canned is great when you’re in a hurry! That is a great tip! Thanks for sharing. I have to try that next time I am in a hurry.